A ~ Hollis Carney: My grandfather painted incredible cigarette cards as a commercial artist for Mardon, Son & Hall. During WWII he was a cartographer in Burma and his paintings and drawings always fascinated me. My mother is artistic, but chose to express it in different ways and my dad makes stained glass. For as long as I can remember the shapes and curves of the body and face always intrigued me. The world seemed to come alive when I started studying art and History of Art. I was consumed – suddenly everything was a symbol or a design – I appreciated nature way more! Art galleries had a huge impact on me – I was lucky enough to spend a lot of time in London over the summers – I always ended up at the National Portrait Gallery and The Tate. Living in the US, I was able to get to NY and Philadelphia quite a bit. The first time I went to the MET and the MoMA was mind blowing. 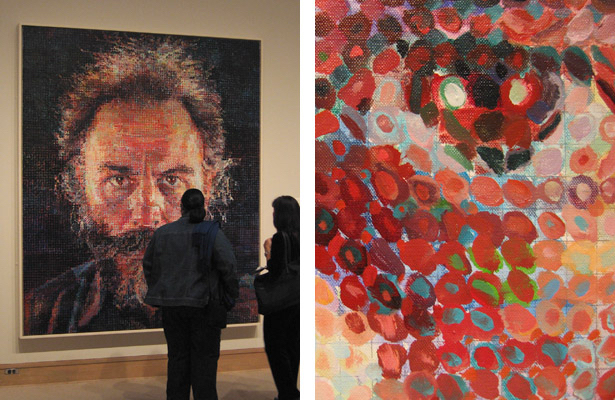 I remember seeing Chuck Close’s work for the first time – and I fell in love with art in a whole new way. The Guggenheim itself made me want to photograph every building - as each one suddenly had a personality that I wanted to record. Vividly remembering my dreams, has shaped me too. They are packed with surreal ‘crazy’ and colour. I loved what I saw when I was asleep - and so my art became a visual translation of the contents of my head! Ronald May (Fiona’s Grandfather) was a commercial artist for Mardon, Son & Hall, painting cigarette cards and packaging for W.D. & H.O. Wills. A ~ Hollis Carney: I always liked drawing, I worked very small and detailed – I liked to draw dreamscapes and use bright colours or just black and white. Eyes and lips have always been a trademark of my work - they are the two most expressive parts of the body. Most of my earlier pieces started or ended there. Growing up I would journal, scrapbook and draw – creating mini masterpieces which were brimming with teenage angst, poetry and ticket stubs… So much detail and emotion poured into books that no-one ever saw! On my 16th birthday I got my first Nikon manual camera and I learned how to use the dark room – a whole new chapter opened up in the realms of how I could express myself. Like when you hear a great song for the first time, you want it to be yours and no-one else to have heard it. I remember feeling like that about the Surrealists and Dadaists. Dali, Man Ray, Duchamp. I felt like I had discovered them and it made me feel ‘safe’. My journaling became automatic writing and I started to create big pieces, based around female form, creation and bold colours. I created abstract and surreal still life subjects to photograph and then use in my art. Then I discovered graffiti/ street art, the epitome of big, bold and beautiful. When I was at University in Leeds, I decided to start an art magazine called Arouse. That’s a whole other story – but our first event was a live graffiti/ street art installation where I found local street artists and gave them space to show the public how talented they are. When I was studying in Boston, I made a very good friend who was a collage artist. I loved the cutting and sticking of existing ideas/ images and changing them to make a statement. Digital art now allows me to really fine tune and play with images until I have created a dream-like state where reality is not reality – but looks very real. This is my sweet spot. I like to juxtapose, question and suggest. My art has to be a true expression of how I feel. Depending on the subject matter, it will determine the medium and the style. Once you are connected to the subject matter - you are not influenced – you are simply translating your personal sentiment into visual form. A ~ Hollis Carney: More than anything I want my artwork to make people smile and feel happy. Smiling improves your health and the energy you pass on to those around you. A subtle combination of humour, irony, colour and overall beauty. A ~ Hollis Carney: Art is therapy for so many artists, therefore, art is vital to the artist. Selling art is not vital, but it’s a wonderful experience to have some sort of transaction where you know someone has connected with you and appreciates your vision. I have pieces of art I have happily paid more than I could afford – each time I see them I feel happy – to me that is priceless. Q ~ Addicted: What’s your favourite Tracy Chapman song? A ~ Hollis Carney: Without question ‘Baby can I hold you tonight’. All of her music is amazing, ‘Fast Car’ and ‘Revolution’ are very close behind. A ~ Hollis Carney: My journey so far has been very interesting. No doubt it will continue to twist and turn throwing me curve balls along the way. Many strong characters have been drawn into my life; some good, some bad and some ever-so ugly. Throughout it all I have learnt who and what I am, also what is me trying to be ‘a different version of me’. That goes for art too. We all mature but when we want to be a different version of who we are - out of a need to escape – that is when things go wonky. I remember back to who I was when I felt invincible and I ask that version of me what they would do. 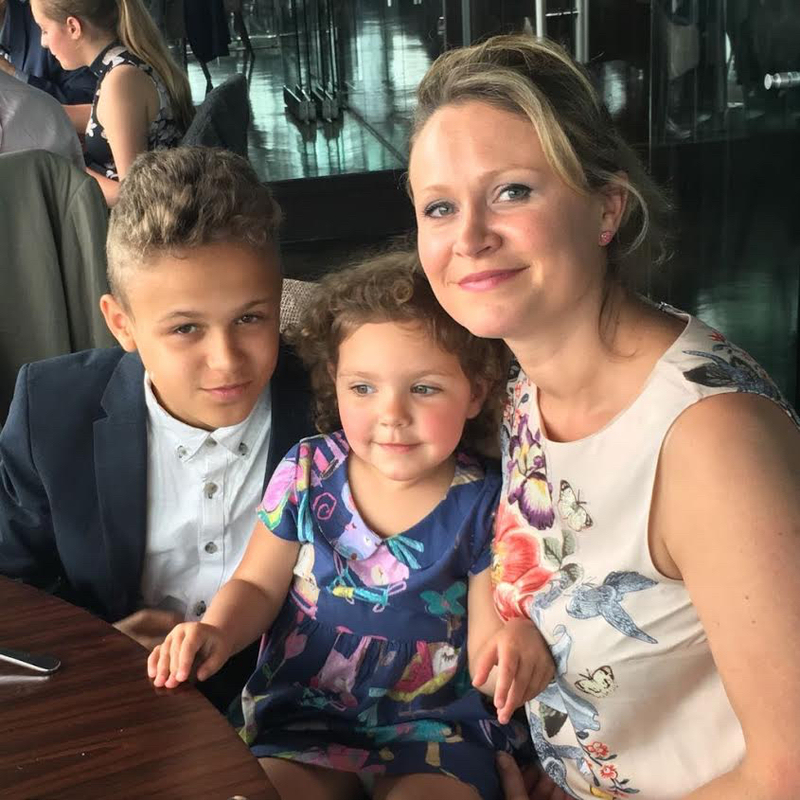 A ~ Hollis Carney: Having a 3 year-old, my ‘time to concentrate’ is so limited, I tend to stay up through the night – and am then wrecked the next day! A ~ Hollis Carney: To ask yourself how it makes you feel when you look at it, not to ask other people if they like it. A ~ Hollis Carney: No one in particular – I like to be eclectic and buy things that are indicative of a time or a place. I have some great pieces from Mark Ryden, Kristjana Williams, Phase II (graffiti artist) and Fiona Watson. Q ~ Addicted: Name three artists you’d like to be compared to. A ~ Hollis Carney: I am not so sure about being compared to – but artists I don’t get tired of looking at are: Dali, Joe Sorren, Chuck Close & Delphine Lebourgeois. 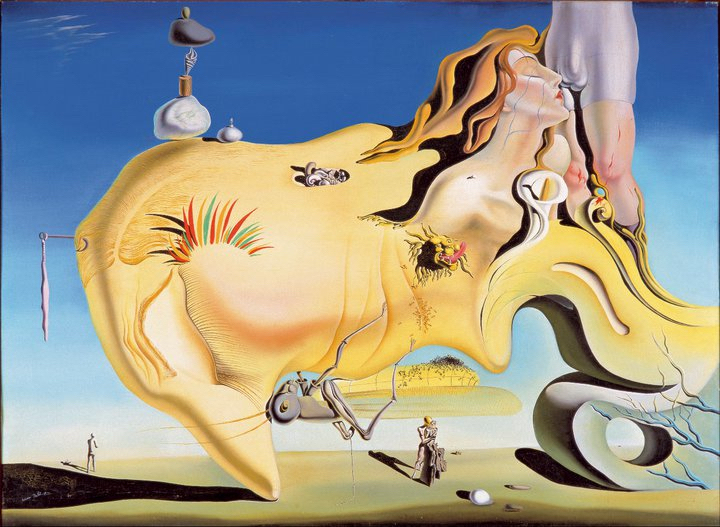 A ~ Hollis Carney: Dali captured my imagination when I was in primary school – I felt like he was one of the sanest people I had seen/ read about. The crazier he was – the more I felt he was normal. There are so many things I would like to discuss with him. Q ~ Addicted: What is your dream project? A ~ Hollis Carney: I would love to design images that would be part of national branding. 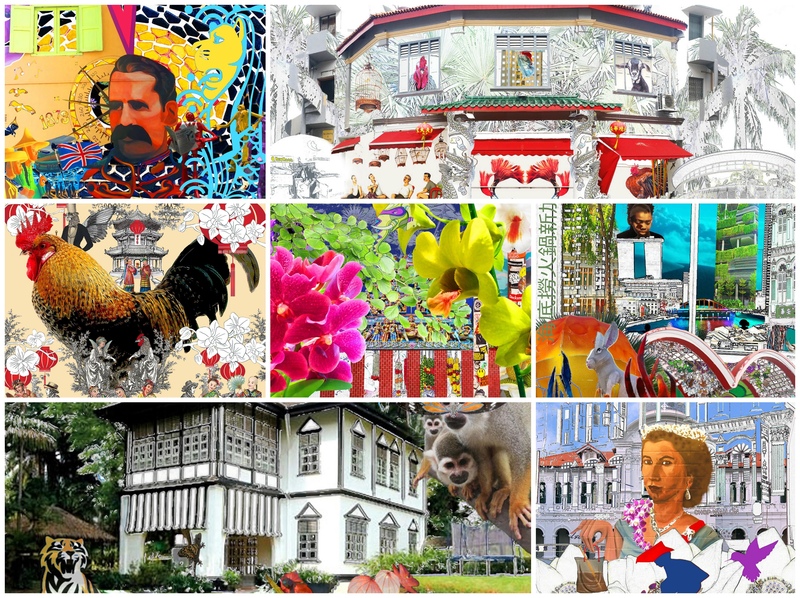 Stamps/ airport imagery/ taxi wraps/ billboards – with bright, colourful fun images that make people smile and feel proud of their country and race. Q ~ Addicted: What one song, movie scene, tv commercial jingle can you recite? A ~ Hollis Carney: There are a few – but funnily enough, the Singaporean TV ad for Lecco Candy has always stayed in my head – short and catchy – they call them ear worms don’t they? Circa 1993. Q ~ Addicted: What’s the best piece of advice you’ve been given? A ~ Hollis Carney: My mum gave me the best advice when I was overwhelmed with my first baby. “Everything is a phase” and it really is! One minute something’s happening and you wonder how the hell you are going to work it out, and then that passes and you are on to the next challenge or adventure! Life is consistently inconsistent – but nothing is forever – so you are best off sitting back and enjoying the ride! Q ~ Addicted: What wouldn’t you do without? A ~ Hollis Carney: I wouldn’t do without my family – and laughter!!! Q ~ Addicted: What superpower would you have and why? A ~ Hollis Carney: I would fly… flying is badass. But no cape – I would have wings. A ~ Hollis Carney: I’d be in awe – assume I had been drugged - and no doubt call everyone I knew to come around and hang out with my new friend. Click here to see Hollis Carney’s ‘Singapore Streets’ series.